One of the most impressive new IPs of this console generation has to be BlazBlue, and I’ve been following it ever since it initially debuted as ‘Blaze Blue’. With the fighting genre currently being a saturation of sequels and HD remakes, BlazBlue is perhaps the only fighting franchise that’s actually still fresh and interesting. BlazBlue: Calamity Trigger was such an amazing release at the time, and while it had only 12 characters, the sheer uniqueness in the play style of each was really impressive. Each character had their own unique fighting system, and no two combatants felt remotely alike. What really stood out in the fighting system was the Drive mechanic, a single button that allowed each character to perform their special ability. The idea was simple in concept but amazingly deep in execution. Another thing Calamity Trigger did so well was story execution, as not only was the story really interesting for a fighting game, but it was delivered nicely enough as a visual novel and the characters were pretty compelling too. 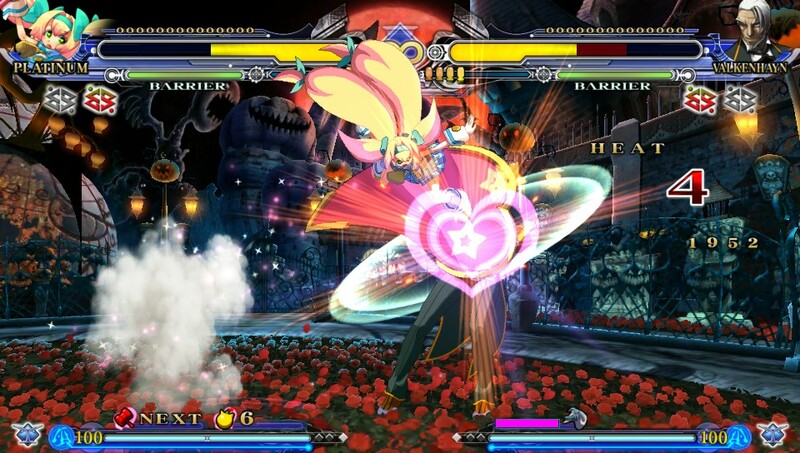 BlazBlue: Calamity Trigger would then be followed by a sequel called BlazBlue: Continuum Shift, which moved the story forward and introduced a host of awesome new characters, as well a major overhaul in play styles, mechanics, and overall balance. In 2012, we see yet another new entry in this series, but this time it comes in the form of an expansion pack, BlazBllue: Continuum Shift Extend. 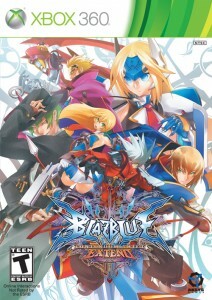 BlazBlue: Continuum Shift Extend comes to Western territories next month as a highly generous budget release (RRP here is $48). But being the eager and impatient fan that I am, I grabbed myself the Japanese version for my Japanese Xbox 360. While the game is very import friendly to anyone who has been following this series since day one, you’re still better off waiting just a bit longer for the local release. As you will learn, it will definitely be worth the wait, and the price of admission. BlazBlue: Continuum Shift Extend, being an expansion to the original Continuum Shift, doesn’t really move the story forward. However, the game’s story mode does have more substance as it offers new story arcs, revamped cut scenes, and more backstory. Much like the previous games, Continuum Shift Extend story mode uses a visual novel format to portray the BlazBlue lore. However, unlike previous entries, this time every playable character has their own scenario, including the characters that were DLC only in the original Continuum Shift. The format is the same as past games, you go through several animated stills with large amount of fully voiced dialogue between characters, take part in battles, and even make choices along the way. There are multiple paths and endings for each character, and getting full completion will allow you to unlock more scenarios and the eventual final ending. What’s cool about Continuum Shift Extend is that it includes a remastered version of the Calamity Trigger story. What you essentially get is a nicely streamlined retelling of the events that transpired in Calamity Trigger. You take part in a few key battles and witness only the true canon events that would lead up to the current setting in Continuum Sift. The remaster also introduces some new animated cut scenes, which are nicely done and portray the story in a far more entertaining and dramatic fashion. BlazBlue has a rather fascinating lore, and while it does get a bit confusing and convoluted at times, it’s still very interesting thanks to a rather vivid cast of characters that are extremely likeable. The plot is so detailed and crazily intertwined that it warrants its own anime series, and is riddled with themes of time travel, cloning, ancient secret weapons, big political conspiracies, and a ton of extremely personal rivalries between the characters. The in-game universe really has a life of its own, with the quality and depth being something that you would expect from a role playing game. Given that the graphics engine is largely unchanged from Calamity Trigger, much of the impact that it made back then is pretty much gone at this stage. Still, BlazBlue: Continuum Shift Extend is a visually stunning game, and is easily among the best looking and performing HD 2D games you can find. The character sprites brim with a ton of detail and animate extremely fluidly, and they blend smoothly with the high resolution 3D backgrounds and effects. From an artistic standpoint, the game is still as amazing as always. Although nothing much has changed since the previous game, it still has a ton of flair and the character designs are still the most interesting you will see out of the genre. BlazBlue really has a style of its own, and even with things largely unchanged, there isn’t another fighting game out there that has the same amount of personality. A cool addition on the artistic side of things is the new animated intro, courtesy of the famed animation studio Production I.G. The studio is famous for the Ghost of the Shell series and more recently the excellent Guilty Crown series. The animated sequence is well drawn and animated, and adds a little spice to the game’s presentation. Daisuke Ishiwatari is perhaps one of the greatest composers in the industry, with his style primarily being that of heavy metal rock. He did a fantastic job with the music of the Guilty Gear series and still continues compose for the BlazBlue series. His style has certainly evolved over the years, as his compositions now have a bit more symphonic flair to them. BlazBlue: Continuum Shift Extend has a mind blowing soundtrack, retaining all the great tracks used so far in the series while adding plenty of great new instrumentals and vocal themes. Among the new tracks, one that personally stands out to me is X-Mantic, which is the theme of Carl Clover vs. Relius Clover, and it’s a really dramatic and highly emotional piece filled with slow melancholic guitar riffs that captures the story of their rivalry and relationship perfectly. There are several rival theme songs like this, and they do a great job of enhancing the story presentation and making battles between certain characters more emotional. Any fan of good heavy metal rock will appreciate the quality of the music present here, and there’s plenty of interesting symphonic fusions and other unorthodox pieces (such as the theme of Taokaka and Platinum). It’s an amazing soundtrack, and probably among the best of this generation. 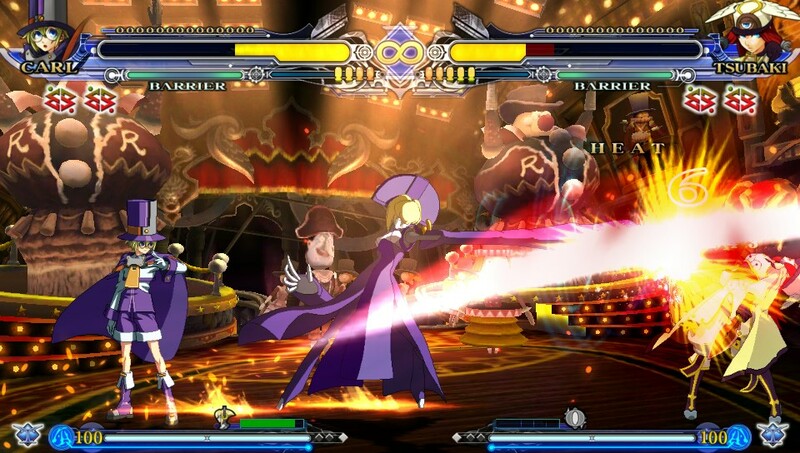 BlazBlue Continuum Shift Extend plays just like original Continuun Shift, but with some noticeable improvements. With fighting games, even the smallest change can do wonders in altering the game balance and flow. 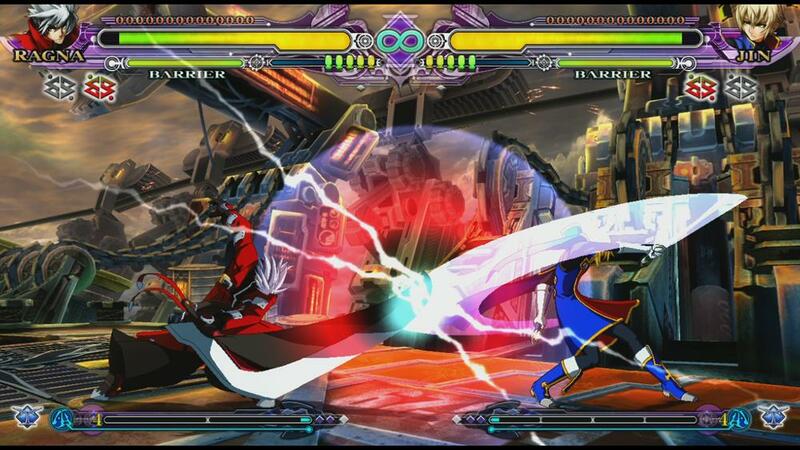 Generally speaking, Continuum Shift Extend, like any BlazBlue title, plays like a dream. The mechanics are just sublime and smooth, and it allows you to chain attacks together into massive combos with great ease and fluidity. What’s great about the system is that it allows you to be creative, and you can basically improvise on the spot and not feel like you’re being restricted as is the case with most fighting games. The gameplay mechanics are unchanged from Continuum Shift, as you still have the instant kill ‘Astral’ finishers and the Drive system that allows each character to perform their unique skill/ability. But what they have really done different this time around is alter some of the characters in terms of their moves and play styles, changes that may seem minor but actually have a significant impact on the game balance. A good example being Tsubaki, her Drive is basically a charge that strengthens her attacks, and in the original Continuum Shift she could charge fairly quickly with ease. In Continuum Shift Extend, however, she now pauses after charging each bar of the meter, and that split second pause basically exposes her to an attack. Little changes like these really shake up the overall fighting experience. Continuum Shift Extend has 19 playable characters, all unlocked and ready to use in any mode, including all the characters that were DLC in the original Continuum Shift. Relius Clover, who in past games was a non-playable character that played a key role in the game’s story mode, now joins the list of playable characters. Much like his son, Carl Clover, he too uses a puppet (named Ignis…his wife so to speak) to assist him in combat. Relius however, is far easier to use than Carl as his general play style is pretty aggressive, allowing players to chain together rapid strikes to create some really big combos. His drive allows him to summon Ignis to perform special moves. With Carl and his puppet Nirvana, it was a lot like controlling two separate characters at the same time, but with Relius and Ignis it’s not quite like that as their dynamic/mechanic is similar to that of Litchi and Matenbo (the staff). Ignis shows up only temporarily to perform some big moves but like Nirvana, her usage is also restricted by a gauge. 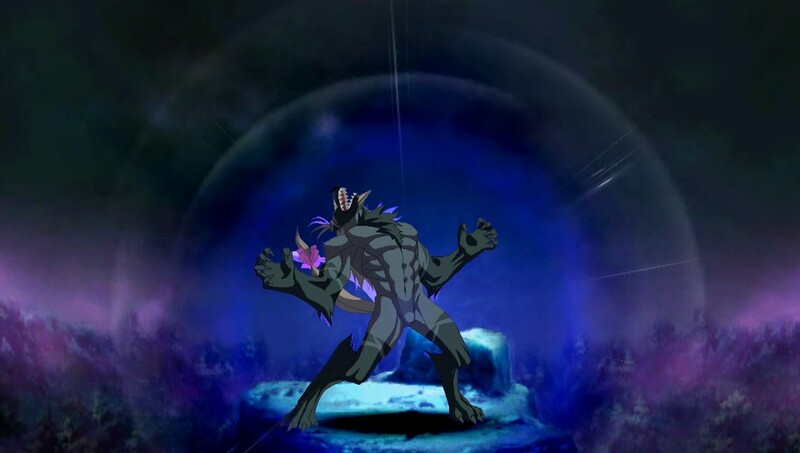 Another thing that’s interesting about Relius is his Astral finisher, where he basically tortures his opponent, but the torture method he uses depends on who his opponent is. Overall, Relius is an awesome addition to the cast and like any other playable character in the game, offers a truly unique combat experience. Apart from the fleshed out Story Mode that I already discussed in detail, Continuum Shift Extend introduces some new single player modes, but they’re all pretty similar as all you really do is go up against a series of opponents. There are a few gimmicks in these new modes, such as the RPG style stat building in Abyss mode. The real purpose that these modes serve is to help you earn enough points/money to unlock artwork in the game’s rather large and impressive gallery. All the other modes from previous games are intact, such as the extremely useful tutorial and challenge modes. The online multiplayer mode is still as strong as ever, with the quality of the netcode being near perfect (if not the best you will experience in a fighting game) and this time you get some new team based match types to play around with. It’s a nice package overall, with plenty to do and unlock, and the online multiplayer will always have you hooked. BlazBlue: Continuum Shift Extend, even though is just an expansion pack, is still a pretty awesome release. For one thing the price of admission is generous, and you’re getting quite the value for it. All the qualities that fans have come to love over the years are still present in full force, be it the head banging score by Daisuke Ishiwatari, the refreshing art direction, the fascinating story, or the breathtaking and masterful fighting system. Everything is present, just that it’s more refined and fleshed out than it’s ever been. Relius Clover makes a great addition to the cast, and being a BlazBlue character, the gameplay experience he offers is unique and refreshing, and unlike anyone else in the roster. The story mode is wonderfully crafted, and it’s really convenient to have both the story of Calamity Trigger and Continuum Shift bundled together to get the complete picture of the BlazBlue lore. Not only that, but they’ve added several new story arcs and a plenty of cool animated cut scenes. The old saying “story doesn’t matter in fighting games” does not apply here, as this is one tale that you definitely want to experience, and the vibrant cast of characters will definitely win you over. 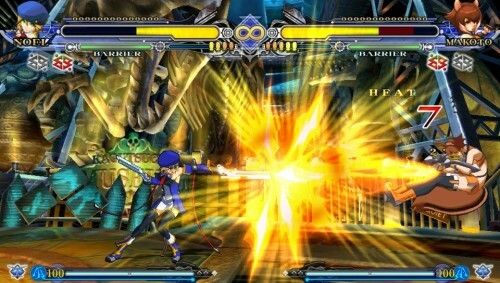 As a fighting game, BlazBlue: Continuum Shift Extend is still as strong as ever, as there isn’t another fighting game out there that will offer a gameplay experience quite like it. The fighting system is still as breathtaking as it’s always been, it’s just now more refined than ever before. There is plenty on offer here to keep players busy, and is endlessly repayable courtesy of the near perfect online play. BlazBlue: Continuum Shift Extend is an excellent accumulation of the entire series, and is the most complete and definitive BlazBlue experience.